Over the past 15 years, I have spoken to thousands upon thousands of sports parents and learned about the qualities that make up the very best youth sports programs; ones that keep our children physically and sexually safe, and emotionally happy and thriving; ones that have high turnout and low dropout rates year after year, where kids are safe and happy, and want to keep playing, and parents want to continue to enroll them. codes of conduct setting behavioral expectations for coaches, players, and parents to minimize or eliminate emotionally, physically or sexually abusive conduct (e.g. bullying, hazing, teasing, yelling, by coaches, players, or parents). 2. Is child-centered. 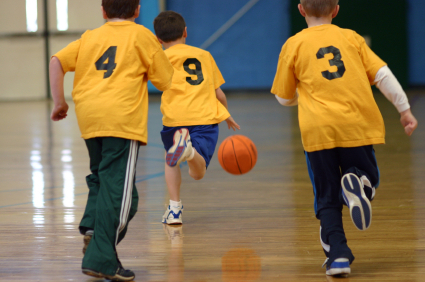 The emphasis on winning in today's youth sports is because adults want to win. Studies repeatedly show that the vast majority of boys and girls, when asked what they would like to see changed about youth sports, say they would like to see less emphasis on winning. A good youth sports program, whether community-based, travel, or at the middle school or high school level is listening to what our children tell us they want; it emphasizes having fun, skill development and fair play and keeps winning, losing and competition in proper perspective. 3. Does not exclude (i.e. cut) children before grade seven or eight. The goal in childhood should be to prepare children for adulthood by giving them a chance to develop coping skills and the self-confidence to succeed in the adult world in a safe and nurturing environment. Many of my colleagues agree that cutting children from athletic programs foster an environment that hurts, rather than fosters, self-esteem. A survey in one New York City suburb found that eight out of ten parents overall and three out of four parents involved in tryout-based programs believed that there should be no tryouts and cutting before fifth grade. Evaluations and inclusion are critical components. 4. Before eighth grade has teams comprised of kids of same age, from same neighborhoods, and of mixed abilities. There is no proof that forcing "better" players to play with those who appear at an early age to be less skilled somehow keeps them from developing their "talent" or that they somehow deserve to play with similarly "gifted" players. Every child deserves a chance to play, receive the best coaching, and play on the best fields. One study shows that only 1 out of 4 "super stars" at ages 10, 11 and 12 will make it to the high school varsity. Programs need to recognize that, given the wide variability in child development, there will always be "early bloomers" and "late bloomers." 5. Uses independent evaluators, not parent coaches, to select its teams. Parents in one Boston suburb who responded to a youth sports survey were nearly unanimous that tryouts run by parent coaches are unacceptable because of concerns about the fairness, politics and behavior associated with such a selection process. Many programs are starting to bring in evaluators from neighboring towns for the day to eliminate a conflict of interest. 6. Has implemented equal playing time (before sixth grade) and significant playing time (sixth grade and above) rules, which are strictly enforced. Following an equal playing time/significant playing time rule creates a win-win situation for the players (who play together more as a team, are less selfish, and feel less pressure to excel in order to earn more playing time), parents (who, knowing that their child will be getting the same or significant playing time as every other player, are likely to put less pressure on their child to perform), and the coach (the rule eliminates two of a coach's major headaches: complaints from players and their parents about playing time). 7. Is accountable to parents and solicits their input. A good youth sports program provides for input from parents, makes its mission statement, bylaws, and names, phone numbers and e-mail addresses of board members and other administrators publicly available, provides for term limits for directors, holds open board meetings, and engages in benchmarking. 8. Requires that coaches receive training and be evaluated after every season. Coaches receive training not only in the sport they are coaching but in child development; evaluations are used to identify those who should no longer be coaching because they are abusive, violate equal playing time rules or overemphasize winning at the expense of fun and skill development. 9. Makes parent training mandatory. Parents who have been trained in the sport they are coaching or that their child is playing are better able to handle the stress of watching their child compete without losing their cool. 10. Adopts age-appropriate play philosophy. 94% of those attending a recent Aspen Institute roundtable believed age-appropriate play is critical in the delivery of early positive experiences in sport, yet it is hard to get parents and coaches to understand age-appropriate principles because of the fear that kids will fall behind kids in programs that focus on training, competition and deliberate practice, and the widespread belief in the myth that early specialization is the key to the development of elite athletes. Age-appropriate play (and mixed teams, see #4 above), such as USA Hockey's American Development Model, which encourages cross-ice play, can also reduce costs and promote access by sharing resources. 11. Provides for free play. As MomsTEAM has long advocated, coaches should take a "games-based" approach to practices, encouraging kids to take charge and create their own games, to promote love of the game and to foster athletic development by emphasizing the benefits of unstructured play. More and more youth sports organizations are explicitly encouraging youth coaches to step back and more loosely organize practices. Indeed, reported Dr. Neeru Jayanthi, an orthopedist at Loyola University (Chicago), at a recent Aspen Institute roundtable, he has found that, among children whose ratio of organized play to unstructured play exceeds 2 to 2 "the risk of serious overuse injury was much more likely," so that free play itself may reduce injury risk. 12. Sets sensible limits on the number of practices and games per week. The program understands that nearly half of the injuries children suffer each year playing sports are overuse injuries and sets age-appropriate participation limits. There will, of course, be exceptions to the list above, any every program will have certain budgets and restrictions, andbut overall this is the formula that works best if the program wants to be athlete-centric and one that thrives. Brooke de Lench is Executive Director of the MomsTEAM Institute and Founder and Publisher of MomsTEAM.com. She is the author of Home Team Advantage: The Critical Role of Mothers in Youth Sports (HarperCollins), from which this article has been adapted, and, most recently, the Producer/Director/Creator of the PBS concussion documentary, "The Smartest Team: Making High School Football Safer." You can follow Brooke on Twitter @BrookedeLench.